The influence of oxides on the stabilisation of zinc foam made by foaming-compacted powder mixtures has been investigated by varying the oxide content in the zinc powder used by oxidation and reduction. Optical, scanning electron and transmission electron microscopy as well as energy dispersive X-ray mapping were used to determine the oxide distribution, morphology and structure in the foams. The study revealed that with increase in the oxide content of the foam, the maximum expansion and expansion rate increased. Small amount of nano-sized oxide particles and their cluster, which are randomly distributed, were observed within the bulk of foam. But the major fraction of oxides is observed on the surface of pores in the form of clusters. These clusters are distributed uniformly all over the surface. Effect of these oxides on the stability of foam is discussed. The formation of satellite pores, which is characteristic signature of zinc foams, and their stability, is investigated. This work was carried out under cooperation of Technical University Berlin and Indian Institute of Technology Madras within the sandwich program of the Deutscher Akademischer Austauschdienst (DAAD). 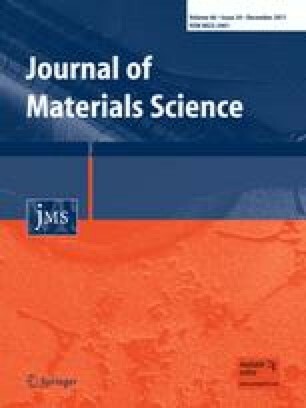 The authors express thanks to Mr. Schubert-Bischoff, Helmholtz-Zentrum Berlin and Dr. Oliver Görke, Department of Ceramics, Technische Universität Berlin for their help in experimentation.